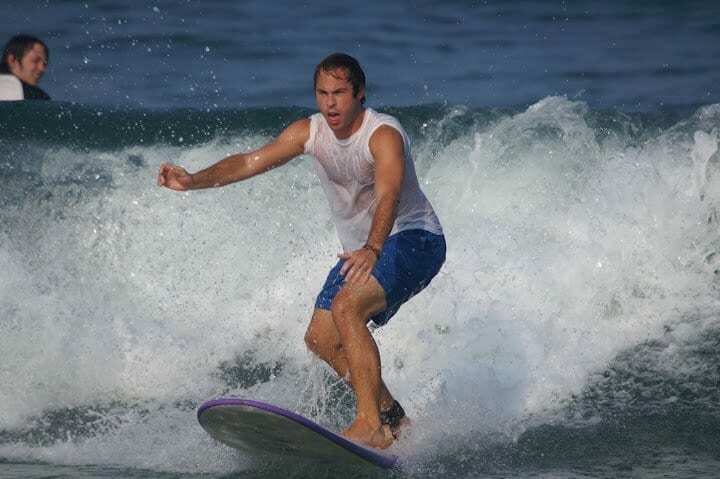 Outer Banks Private Surf Lessons are a perfect choice for people looking for some private instruction, couples, or special parent/child outings. If you prefer the undivided attention of our instructor in a private setting, we offer Outer Banks Private Surf Lessons. These lessons last one and a half hours and cover all of the material in our introductory surf lesson, just in a one-on-one setting. This one-on-one instruction is offered at all of our locations of Corolla, Duck, Kitty Hawk, Kill Devil Hills and Nags Head. We can also come to your beach house and to the surf lessons right where you are. This is great way to experience a private surf lesson with convenience ad the luxury at your own home. $125.00 for one person / $99.00 per person for 2 people.